Samsung Galaxy A5 2017 is coming to your local Canadian store beginning March 17th, latest reports can confirm. While Americans keep missing out on the Galaxy A series, Canadians are still able to get their hands on the latest version, but there’s only talk of the Galaxy A5 2017. This year’s series came with three variants, including the Galaxy A3 2017 and Galaxy A7 2017, but it seems this region will only be getting the midrange version. Not so long ago, this Samsung Galaxy A5 2017 model appeared on the FCC, an indicator that its launch in North America was imminent. Well, it will be happening Friday next week, following in the footsteps of India, Philippines, the UK, Portugal, and Malaysia. 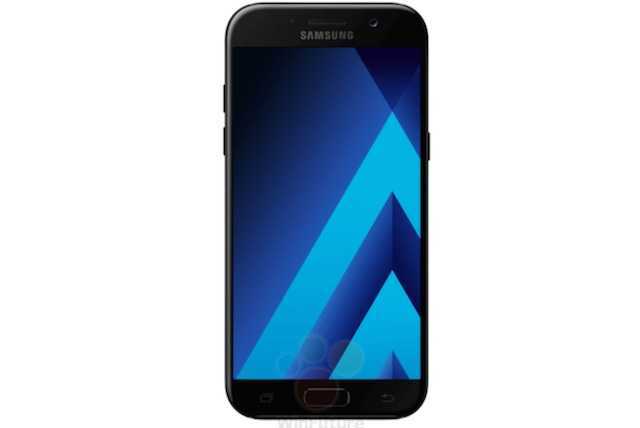 If you live in Canada and would like to have a new Samsung Galaxy A5 2017, you can get one via Rogers, Bell or Virgin Mobile at a price of CAD 499.99. This will get you a decent package that comes with a 5.2-inch Full HD Super AMOLED screen with Always on feature. Under the hood, the Galaxy A5 2017 packs an Exynos 7880 octa-core processor with a clock speed of 1.9GHz. This is paired with a Mali-T830MP3 graphics processing unit alongside a RAM of 3GB. In terms of storage, the new Samsung Galaxy A5 2017 gets you 32GB, which can also be expanded via a microSD card of up 256GB. The back of the midranger ships with a decent 16MP shooter that supports PDAF, has a dual-tone LED flash and an aperture of f/1.9. The front has a similar 16MP shooter with the same aperture. To keep the phone ticking is a decent 3000mAh battery unit that supports the company’s proprietary fast charging technology. Software-wise, Samsung Galaxy A5 2017 has Android Marshmallow out of the box, but a Nougat upgrade should follow sooner or later. Whether Samsung Galaxy A3 2017 and Galaxy A7 2017 will be joining the party at some point in future is still unknown, but it is unlikely, especially since not all markets that have seen the Galaxy A 2017 series are able to buy all three variants.